In 2013, not long after Ginninderra Christian Church moved into our new facility, members Bill Monaghan and Karyn Bell presented a vision for establishing a weekly morning tea for seniors. They hoped to use the facility God had graciously provided to reach out and serve the surrounding community, particularly those of retirement age looking for fellowship and purpose in their later years. 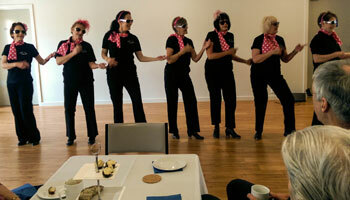 At the start of 2014 this vision became a reality and Seniors’ Morning Tea had their first Wednesday morning gathering. 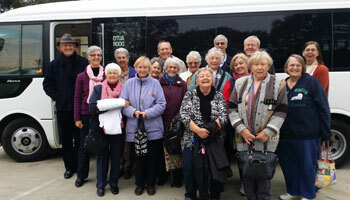 Since then the morning tea has gained momentum with our seniors enjoying regular visits from a diverse range of special guests (from dancers to government departments) as well as excursions to locations in and around Canberra. Throughout the year the seniors have themed days, such as the ‘Easter hat parade’ or ‘black and white day’, which show that you don’t have to be young to be creative and have fun! 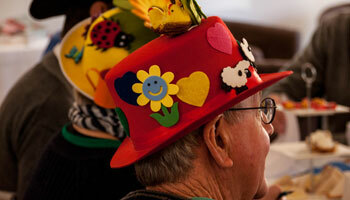 Seniors’ Morning Tea is completely free and seniors and their carers are all welcome. There is a delicious variety of sandwiches, sweets, tea and espresso coffee on offer, but the real food comes from the fellowship - chatting with old friends, meeting new ones and sitting back and enjoying the company. There are trivia games and puzzles to keep the brain active, and the guest speakers generally have excellent information pertinent to seniors. So come and join us here at GCC - every Wednesday from 10 am.